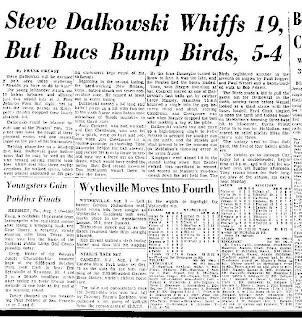 Steve Dalkowski, the fastest pitcher in baseball history, and the wildest, spent the 1957 season with the Kingsport Orioles. 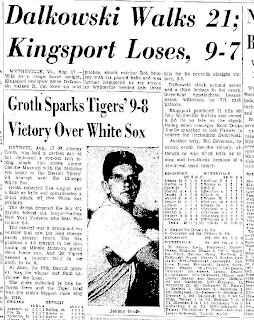 Dalkowski was profiled in the Sunday July 19, 2009 New York Times and he mentions Kingsport. 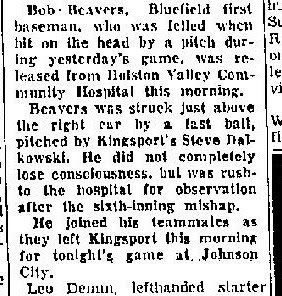 Steve Dalkowski pitched in Kingsport his first season in the minors, when his control was really terrible. Judy and Tom Sartain were heading back from the beach when they stopped at a convenience store in Sumter, South Carolina. And there, in the window, was a sign that floored them both. It was promoting Kingsport Cigarettes, $2.59 a pack, $24.99 a carton. Kingsport Cigarettes? They are both Kingsport natives and they’d never seen or heard of such a thing. So Tom sent me a photo, knowing that would get me on the case. It did. 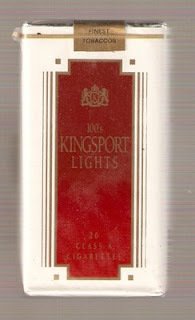 Kingsport brand cigarettes are manufactured by the Liggett Group – formerly Liggett and Myers – of Mebane, North Carolina. At one time Liggett manufactured the popular Chesterfield and L&M brands. Today the company sells 16 lesser known brands, including Eve, Quest, Pyramid, and, yes, Kingsport. I got in touch with the Liggett people because I had two questions: one, is the cigarette named after our town, and two, why can’t you buy Kingsport cigarettes in Kingsport? The second seemed to me to be a gigantic failure of marketing. Control Label brands – Liggett owns five - are sold in partnership with distributors and retailers who are granted rights to sell those brands. But not in Tennessee and especially not in Kingsport. According to Liggett’s online store locator, there are 20 stores within 10 miles of downtown that carry Liggett brands. If I were one of those local Liggett retailers, I’d talk to my distributor about Kingsport brand cigarettes. 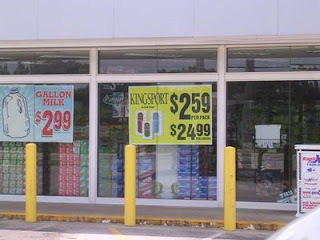 Even a non-smoker like me thinks that Kingsport cigarettes should be sold somewhere in Kingsport. 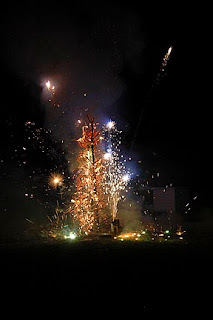 ...was the American Legion Carnival. 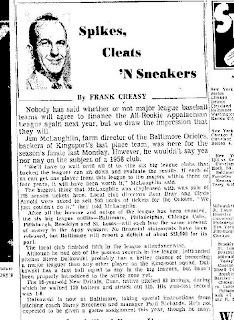 This ad is from July 1, 1947. Which is appropriate because it is Fun Fest that killed the carnival. 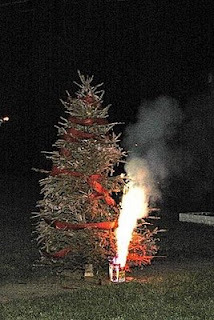 All these photos are courtesy of Jack Goodwin, who was there! 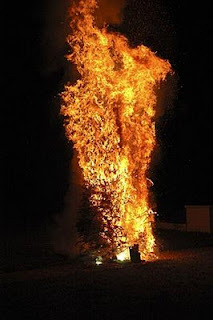 The height of the flames - see what a gallon and a half of gasoline will do. 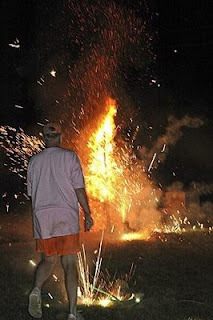 Should we maybe call the fire department?